Offering up a true sense of community, La France Walk is one of Atlanta’s newest, most walk-able developments, close to everything, yet rich in the extra, modern amenities that prospective homebuyers are in search of. The four distinct home plans each offer a front porch for sitting with family and neighbors, presenting a lifestyle more in touch with a small town or one appreciated around a half-century ago. Set along tree-line streets, each home offers a distinct picket fence with low-maintenance homes designed with energy efficiency in mind. A short walk from public transportation, its also easy to take a stroll or a bike ride to a neighboring park, visit one of the many nearby shops and markets or connect with Downtown Atlanta. An Intown Community, La France Walk is centrally located with a vibrant setting uniquely its own. 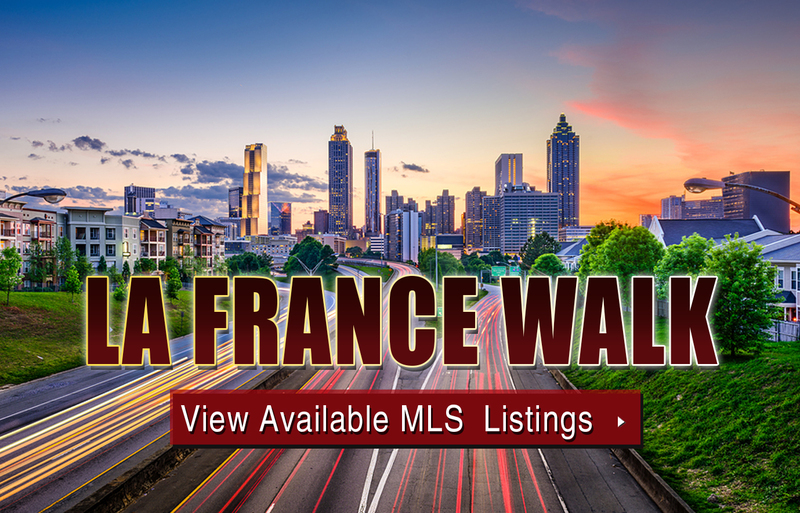 If you’d like more information about La France Walk homes for sale in Atlanta, contact The Zac Team today at (404) 564-7272! Listed below are recently closed sales at La France Walk in Atlanta. Whether you’re thinking about buying or selling a condo at 2901 Lenox, checking to see what other comparable properties have sold for in recent weeks and months provides helpful insight into current market conditions within the community. For more information about 2901 Lenox condos for sale or for a complete list of recent condos sold in the neighborhood, contact The Zac Team today! Can’t find what you’re looking for in Atlanta’s La France Walk neighborhood? Start browsing other Atlanta real estate for sale or give the Zac Team a call at (404) 564-7272 for help with your new home or condo search today!